Hoboken Grace’s Bridge Events Team works to create the best possible experience for everyone involved. This means informing and training the volunteers. 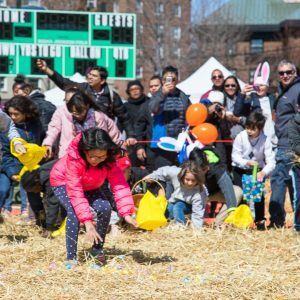 It also means getting all the important details into the hands of participants to make sure they can flow easily through the various activities at the field prior to the actual egg hunt. The Bridge Events Team strives to be the glue connecting all the different parts of our community together; creating something bigger than any individual. Given the size and scale of the hunt, there’s a lot that goes on behind the scenes. We work with the City of Hoboken, the Hoboken Police Department and the Hoboken Housing Authority to ensure safety and efficiency for all participants and volunteers. 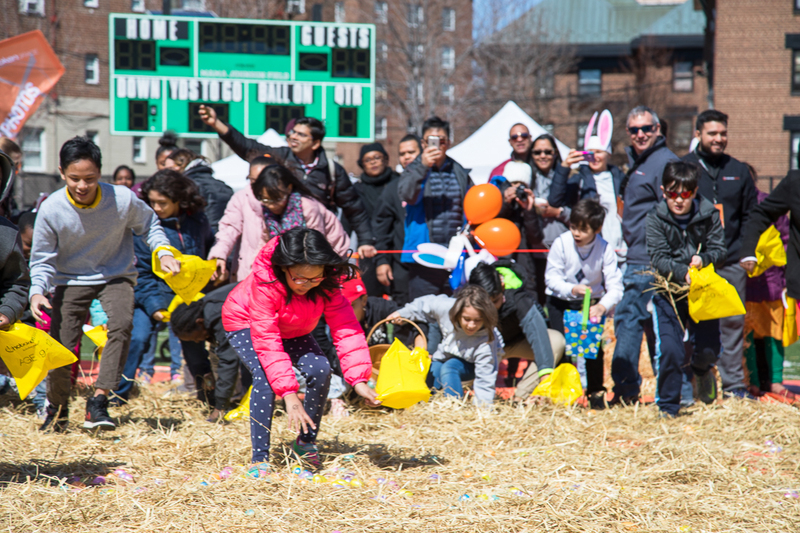 The Hoboken Housing Authority provides resources as we transform Mama Johnson Field into a massive Easter egg hunt field. The City of Hoboken and the Hoboken Police Department provide resources to secure the field location, to help with the flow of traffic and people and to make sure the event remains safe for everyone. Lastly, you play a key role. Each of you is part of your own community, whether it is at work, in your apartment building or your group of friends. This is your chance to invite them to be part of something significant with you. Over a few short hours on a Saturday, you will get the chance to impact thousands of your neighbors with your community. All you must do is show up! How awesome is that? If you are interested in volunteering, you can register here. Go crazy, send the link to a few friends or co-workers as well. We can’t wait to celebrate with everyone on April 13!